The idea of the Large Hadron Collider (LHC) was born in the early 1980s. Although LEP (CERN’s previous large accelerator) was still under construction at that time, scientists were already starting to think about re-using the 27-kilometre ring for an even more powerful machine. Turning this ambitious scientific plan into reality proved to be an immensely complex task. Civil engineering work, state-of-the-art technologies, a new approach to data storage and analysis: many people worked hard for many years to accomplish all this. 1984. A symposium organized in Lausanne, Switzerland, is the official starting point for the LHC. 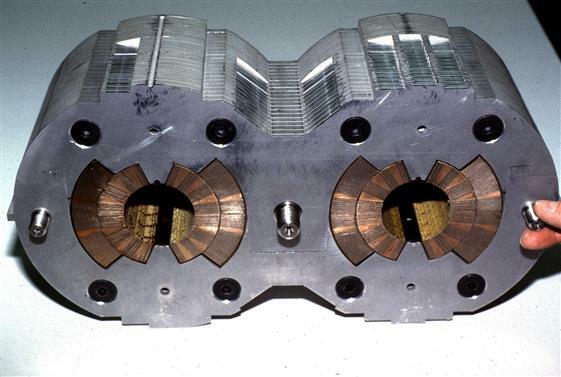 LHC prototype of the two beam pipes (1992). 1989. The first embryonic collaborations begin. 1992. A meeting in Evian, France, marks the beginning of the LHC experiments. 1994. The CERN Council approves the construction of the LHC accelerator. 1995. Japan becomes an Observer of CERN and announces a financial contribution to the LHC. 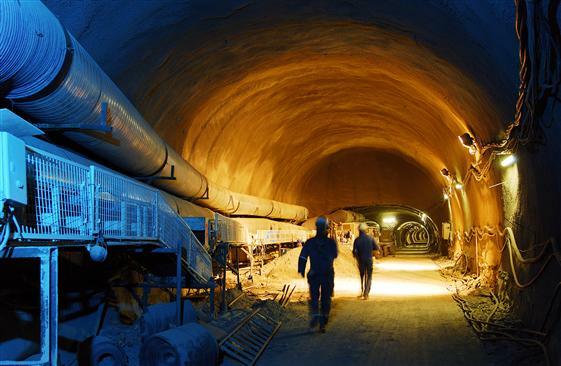 Japan makes two further major financial contributions to the LHC project in 1996 and 1998. The LHC technical design report is published. 1996. Thanks to the contributions of non-Member States (including India, Russia, Canada and the United States), the CERN Council decides to construct the LHC in a single stage. The CMS and ATLAS experiments are officially approved. 1997. A full-scale model of the LHC main dipole magnets, measuring 15 metres in length, is lowered into the tunnel of the future accelerator. The ALICE experiment is officially approved. LHC Magnet in SM18 (1998). 1998. Civil engineering work begins for the ATLAS experiment. The first prototype magnet with a 15-metre nominal length is tested successfully, reaching a magnetic field of 8.3 tesla, the operating field for the LHC. LHCb is the fourth experiment approved for the LHC. 2000. The dismantling of CERN’s large accelerator, LEP, begins. 2001. The European DataGrid project (EDG) tests a networking infrastructure for the future computing grid. The beam dump tunnels (2002). 2002. The last component of LEP is brought up to the surface. The first octupole correction magnet is delivered. The excavation of the ATLAS cavern is completed: in two years of work, one of the world's largest experimental caverns, 35 metres wide, 55 metres long and 40 metres high, has been dug! 2003. The installation of the transfer lines begins. Composed of 700 magnets, they are to transport the beams from the existing accelerator chain to the LHC. 2005. The LHC Computing Grid, which must meet enormous storage and data-processing needs, reaches more than 100 centres in 31 countries. 2006. The construction of the world's largest refrigerator is complete. The magnet production for the LHC is also complete. The first of the eight sectors of the LHC is ready. The sector’s magnets, cryogenic distribution line and other systems and services are all interconnected. A view of the tunnel at point 2 (2007). 2007. The interconnections of all the arcs of the LHC are completed. Particles circulate in the LHC for the first time. 2008. 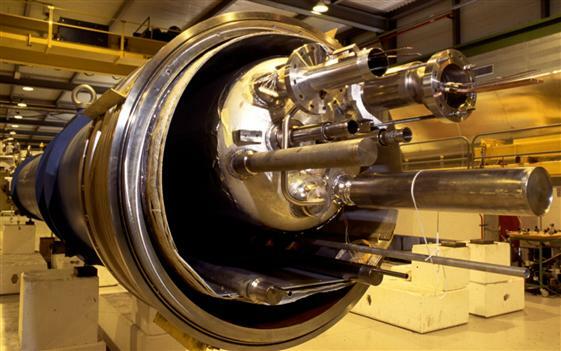 The 27 kilometres of the LHC attain the –271°C needed for the experiments. 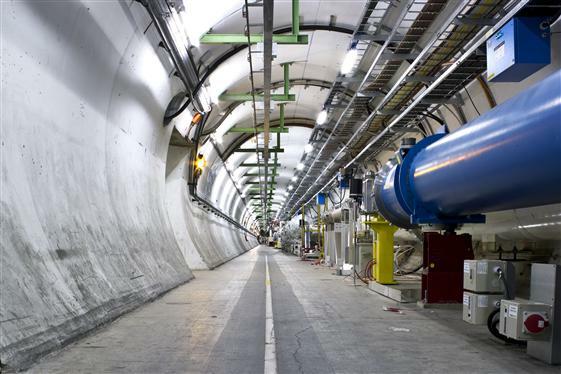 In September, an incident brings the LHC to a standstill. 2009. A technical stop to prepare the LHC for restart. The machine is switched on again in November. The first collisions at a record energy of 1.18 TeV are achieved on 30 November. 19 March 2010. Beam energy is ramped to 3.5 TeV, a new world record. 30 March 2010. The first collisions at 3.5 TeV!